Do you find yourself wearing the same thing over and over again? Can you not imagine making any new outfits out of what you already own unless you hire a (very expensive) professional stylist, no matter how many articles you read that tell you “how to find hundreds of new outfits in your closet”? I know, it seems impossible to do it by yourself, and if you answered yes to one or both of those, keep reading, because I did, too. 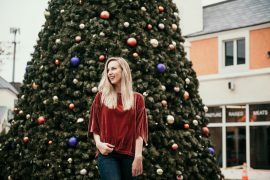 By just simply browsing through my Facebook news feed, I found an amazing outfit planning app called Cladwell that not only helps you keep track of what is in your closet and what you wear and when, but it helps you create THOUSANDS of outfits as well as…sit down for this…pick out outfits for you based on the weather in your area. Yeah. No more standing in front of your full closet thinking you have nothing to wear. No more pre-planning outfits. Just open the app and BAM – your outfit of the day already picked out for you. Did I mention that it is recently completely FREE right now for a limited time? I’ve tried other outfit planning apps like Stylebook where you upload your own images of your clothes, but who has time for all of that? I don’t know about you, but I have way too many pieces to stop and take a picture of every. single. one. No thanks! 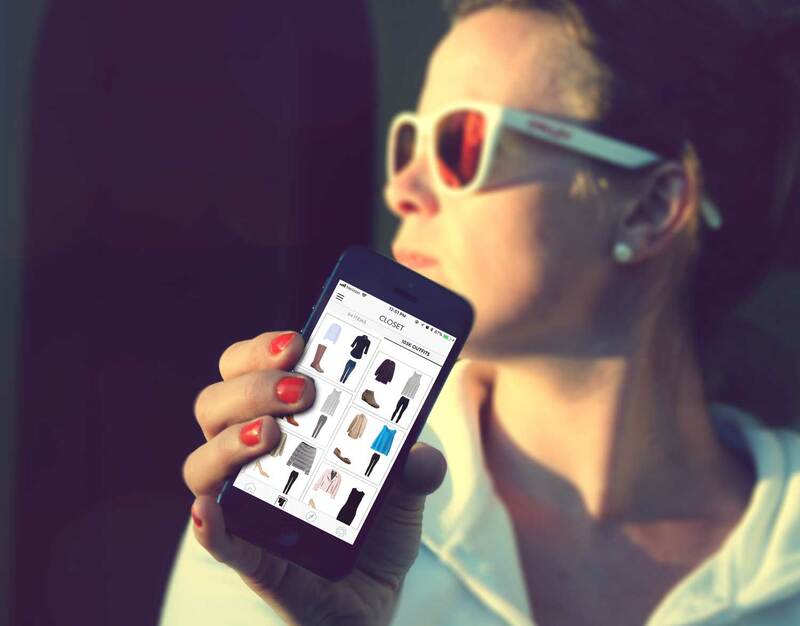 On Cladwell, you browse through thousands of options already inputted in the app. 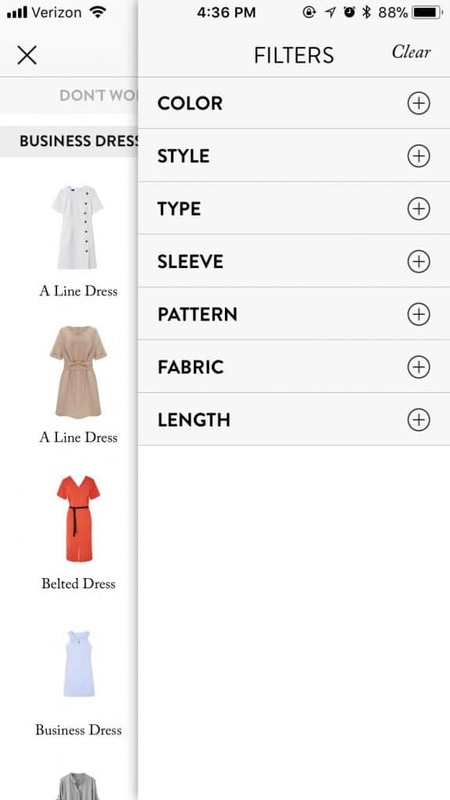 Choose pieces that look the closest to what you have by searching by type of clothing, color, pattern, fabric, length, and more. You don’t have to worry about finding the exact piece. 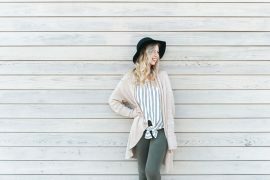 Just close enough to where you can look at it in an image of an outfit and think “I have something like that.” Now, if you wear really unique clothing, this might be a little more difficult for you. You probably won’t be able to find everything, but it’s great for mixing and matching your staple items at least! I would at least try to find as many pieces as you can. You can also upload your own photos if you need to/can find the time to. Select what you have, and they will all show up in your “closet.” You will also notice that outfits are already showing up for you in the “outfits” tab. As you add more pieces, you will see that number grow. I’m not even done inputting everything and I have over 1.5 million outfits (and counting)! Who knew I had SO MANY outfits just sitting in my closet, waiting for me?! Here’s where the most work comes in. 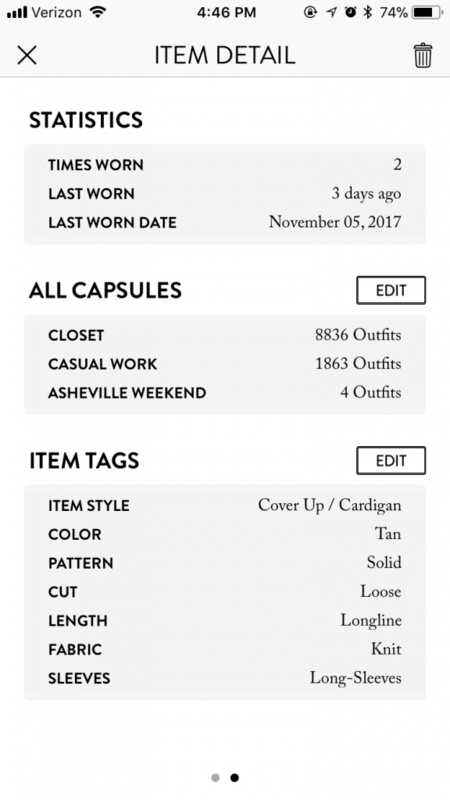 In order to actually organize your closet with this outfit planning app, you have to create “capsules.” Create one for work, weekend, weddings, whatever you want. You can even make one for a specific trip. Now you can go back to a specific activity, lifestyle, or event and pick your outfits from there. For example, I created a capsule for my recent Asheville trip. I put all of the clothes I packed into the capsule and entered that capsule for the weekend. When I opened the app while I was in that capsule, it gave me outfit options based only on clothes in that capsule. It also showed me that I way overpacked, because I had so many outfit possibilities – probably enough to last me a month. But you know…if I washed everything regularly. 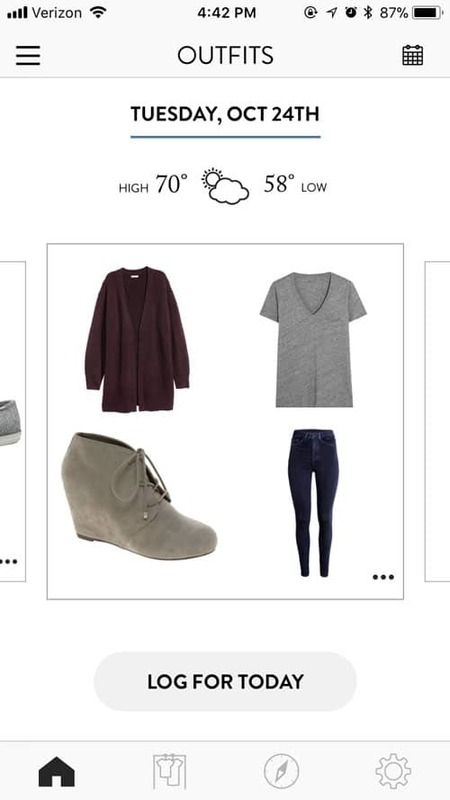 On the home tab of the app, you will see about 3 outfits based on the weather in your area (you have to allow location settings for this one). 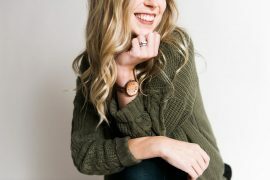 It’s super helpful, especially for those transitional times between seasons when you’re not quite in the mindset for the new weather showing up (anyone else have this problem?) and you might see an outfit you would have never thought to put together! What I love is that it shows amazing layering options, too. Don’t worry, though. You don’t HAVE to choose one of these outfits to log. You can edit specific pieces by clicking the 3 dots in the bottom right hand corner of the outfit and tapping on “edit this outfit.” I have done this several times if I decided I wanted to wear a different pair of shoes or if I liked the outfit but one of the pieces was in the dirty clothes. Another option is to refresh the outfit for a new outfit idea. 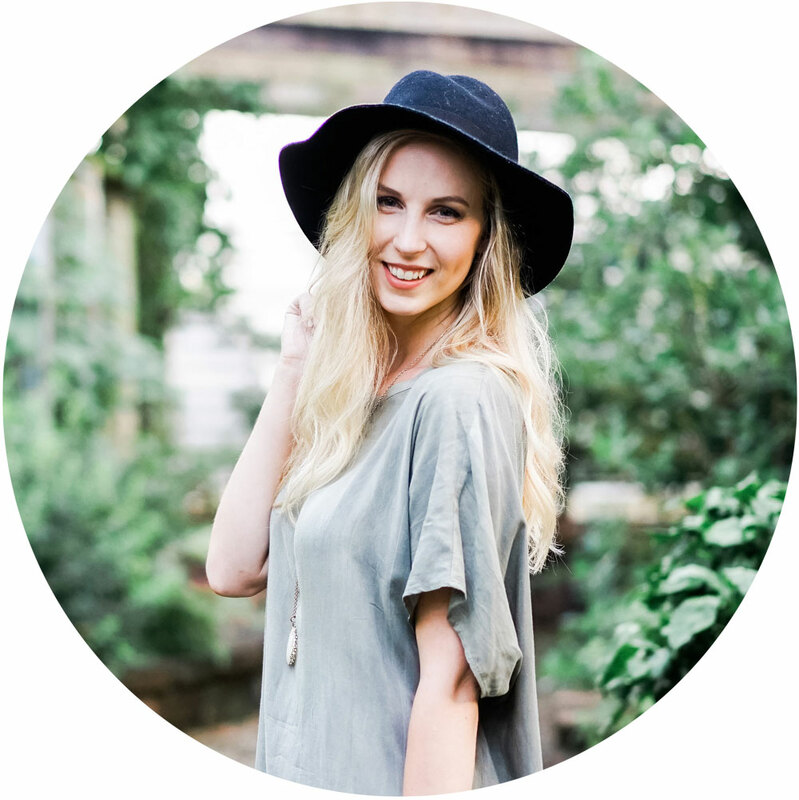 You can also log an outfit straight from your closet or capsule! Oout of the thousands of outfits it shows, you’re obviously not going to love or even like all of the options. 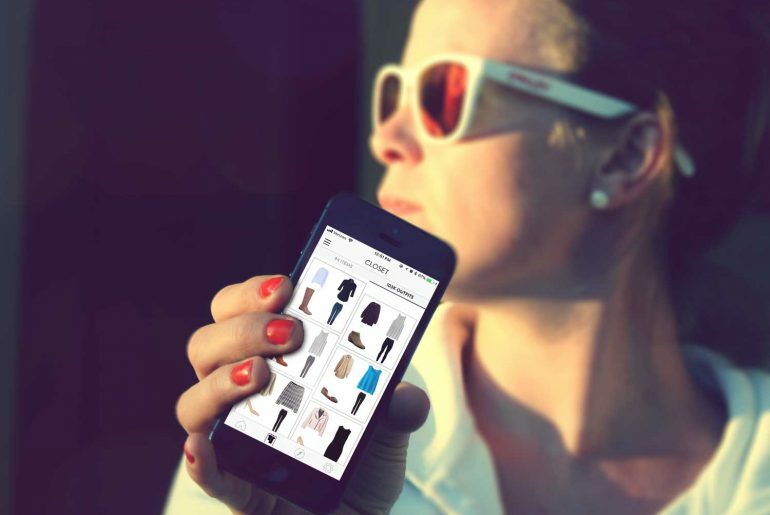 As you continue to log your outfits every day, the app gets smarter and learns what styles you wear and like the most. So it actually only get’s better from here! Everyone has pieces in their closet that they never wear. 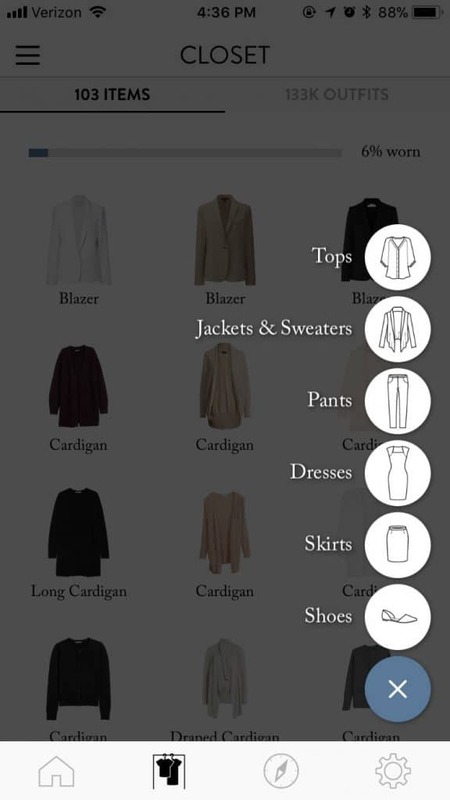 Cladwell calculates what percentage of your closet you are actually wearing. After a month or two, check your percentage, look at your history, and figure out what you’re not wearing. It’s time to donate pieces you don’t touch. You can also move items to “storage” within the app if you don’t want a piece to show up in your outfits. I know, of course, you have to pay for a subscription. IT WAS TOO GOOD TO BE TRUE. 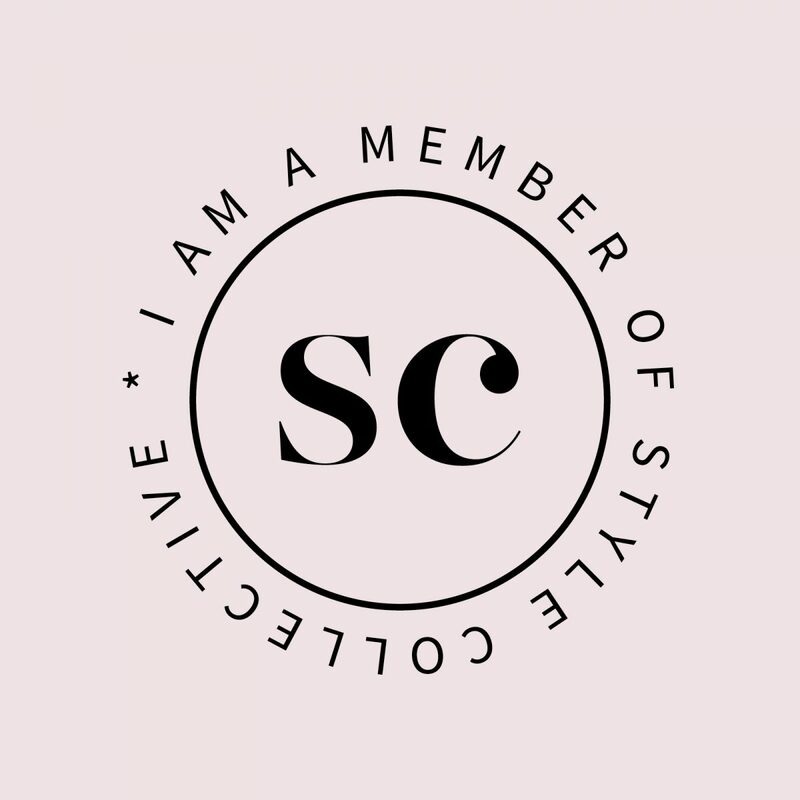 BUT I am giving you guys 30 FREE DAYS to try it out (normally you only get 3 days), but only with code EVERSOEMILY at cladwell.com. After that, you can choose one of three options: $2.99/week, $7.99/month, $17.99 quarterly, or $39.99/year. And trust me guys, it’s worth it! Start now by clicking here and using promo code EVERSOEMILY. UPDATE: Cladwell is now totally FREE FOR LIFE, but only for a limited time! Go download the app now to take advantage of this amazing deal. Filter your closet by type of clothing, not just the clothes you want to add to your closet. Log outfits for past days if you forget to log one day. Save favorite outfits. Sometimes I really like an outfit chosen for me one day, but one of the pieces is dirty. I’d love to be able to save outfits for future times. A lot of these changes were made! See my update on the app here. I am finding more and more out about this app and my excitement for it after a week of having it has not dispersed at all. Hopefully you all will get a chance to try it out and love it as much as I do! Ready to stop stressing about what to wear? I have the same problem and this app could definitely help me too. That’s an amazing app. Thank you for sharing it. Of course! I’m super excited about it and hope it helps others like it’s help me! Oh, this looks really neat. Very cool and high tech app! This would save me tons of time on outfit planning!